Hello! I’m Harley Strettan from our Essendon office. You probably already know that if your carpets don’t undergo regular cleaning by a professional carpet cleaner they’ll become damaged permanently with unsightly stains, traffic lanes and discolouring.But there’s an even more urgent reason to ACT NOW!Unclean carpets can also pose a health risk to you and your family exposing them to hrmful air pollutants that creates the perfect environment for asthma, eczema, rhinitis or allergic attack. MyHome Strathmore uses a new DRY-Touch carpet cleaning process that leaves the carpets clean and dry under 60 minutes. Our cleaning solutions are blended with Healthguard to clear the carpet of hard dirt stains, fungus and bacteria. Our cleaning process reestablishes the colour and natural balance of the rug while retaining its freshness. 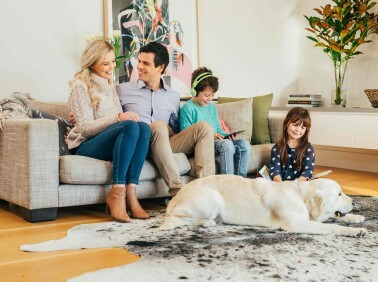 MyHome Dry-touch is a system that does not leave any wet carpet odours after the cleaning, instead it will smell lemony fresh and look as bright as the day you bought it. MyHome carpet DRY-Touch Cleaning service completely vacuums the carpet before it is cleaned. Our solutions are free from any hard chemicals to ensure that the carpet shape and size remain the same without any stretching or quality declining problems. There are many reasons carpets are popular in Strathmore. Not only do carpets bring warmth and coziness to a home, but it also styles and decorates the house. Carpets come in various designs and colour patterns that are very popular among people. You can also make a good saving on energy bills as carpets help to naturally insulate the house. Carpets are also useful in keeping pets and especially young children safe from marble or hard wooden floors. They also add style and beauty to your living space. However, how do you clean your carpet and keep it new and fresh for many years? 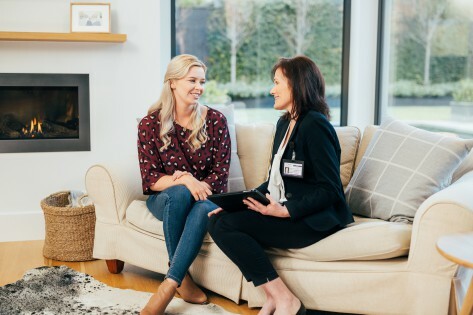 Simply by hiring the services of professional cleaners like MyHome Strathmore Carpet Cleaning to provide complete cleaning and maintenance of your carpets. Our cleaning service is a smart way to protect your carpeting investment as we clean your carpets, and it comes out looking new and fresh. You will not be looking to replace or buy a new carpet any time soon if you use our services. The MyHome innovative DRY-Touch Cleaning arrangement lengthens the life of your carpets. The finest part is that MyHome does all this without drenching your carpets in buckets of water and leaves you newly cleaned rugs and carpets you can use in just 60 minutes. Our cleaning services are backed by our 100% Satisfaction guarantee. We are confident that you’ll be blown away seeing your newly washed bright and shining carpet. However, if for any reason you find our services unsatisfactory, we will do a complete rewash for free! You should be careful about selecting carpet cleaning services. If you end up choosing the old carpet cleaners, they will use the old method of hot water extraction cleaning. This uses excessive heating that will leave your carpet out of shape, soaked and prone to more dirt and fungus. We highly recommend using our new and innovative carpet cleaning services to protect your carpet from any damage. Place us a call on 13 22 31 to discuss your requirements and get a free quotation. You can also send us your query online and we’ll get back to you soon.